New Delhi : National Human Welfare Council held an international-level youth dialogue at New Delhi-based Press Club of India on March 26. Young minds from Saudi Arabia, Dubai and several parts of India participated in this dialogue. Highlighting the moto behind this meeting, president of this organisation, Gunjan Mehta said, "Youthful minds working in various sectors, hailing from diverse backgrounds gathered under one roof for to discuss the ways to counter the social evils in the society. Thorough discussions were held on subjects like education, health and the menace of increasing cases of suicides amongst youth who couldn't bear the frustration of failure in life. Various topics were brought to the fore and conclusions were drawn to help the confused youth about finding a purpose in life." 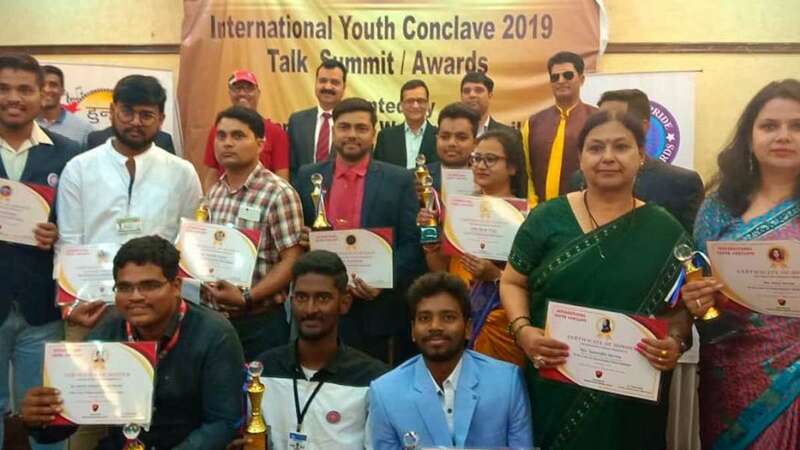 A few youths working towards the service of the nation were also conferred with 'Youth Icon of India Award' during the event. Avinash Kumar, Nikhat Zarine, Sajjad Khan, Arvind Mittal, Sumit Orkkudkar, Ashish Kumar, Dr God Arora and 21 like-minded youths were honoured for their work dedicated towards the service of the motherland. CEO of SuKam Solar Ashish Agrawal the invited the guest of honour at the event prayed for a better future of these young minds. Gunjan Mehta informed that her organisation has held several such meetings in the last one year and it has helped in the well being of hundreds of youth and specially-abled people, who are leading a better life. Dr Ishwar Arora, who is a Gold Medallist in Ayurveda, also attended the meeting and apprised everyone about the Vedic way of drinking water and its importance.